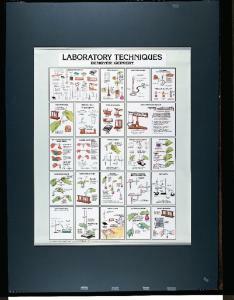 A quick reference guide and refresher, this chart is a great companion to our Laboratory Safety Chart, 71093-00. The clear and thorough illustrations answer questions on proper adjusting of burner flames, how to measure liquids, bend glass tubing, and 20 other techniques students need to master successfully. 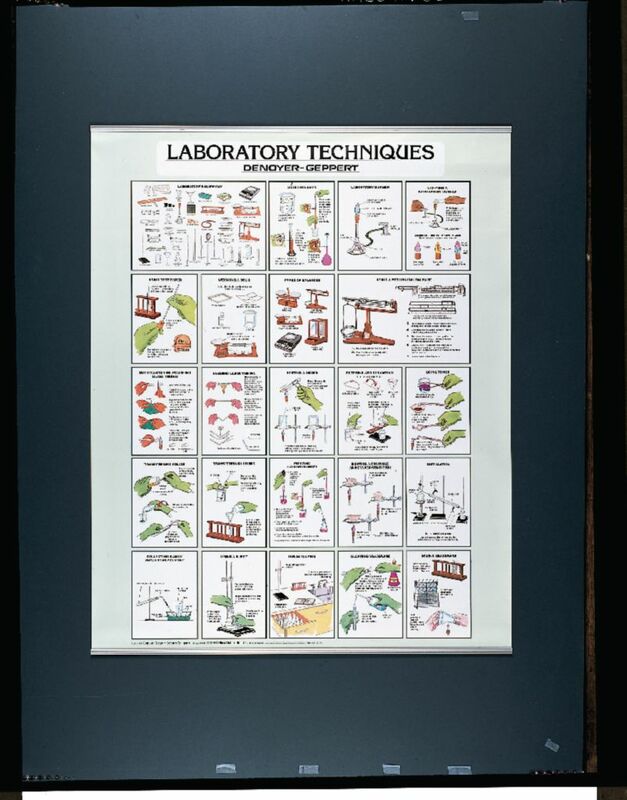 Printed on tear-proof stock with eyelets for hanging. Size: 35" x 44".